Dave Jensen & Riley Ann make a dynamic team recalling the traditions of blues and R&B in a way that all generations can appreciate. Armed with tenor sax, blues fiddle, and electric guitars, their arrangements fill the room with an unbridled energy and soulful singing that is sure to get your heart pumping and your feet dancing. Dave has made a name for himself with his ripping guitar solos with Blue Grama Bluegrass Band while Riley has been dubbed "One of the region's most enigmatic artists" having toured as a looping one-woman band & an old time string band, and also performed as a guest artists spanning country, blues, bluegrass, ska, electronic bands, and everything in between, including her current band The Catcalls. 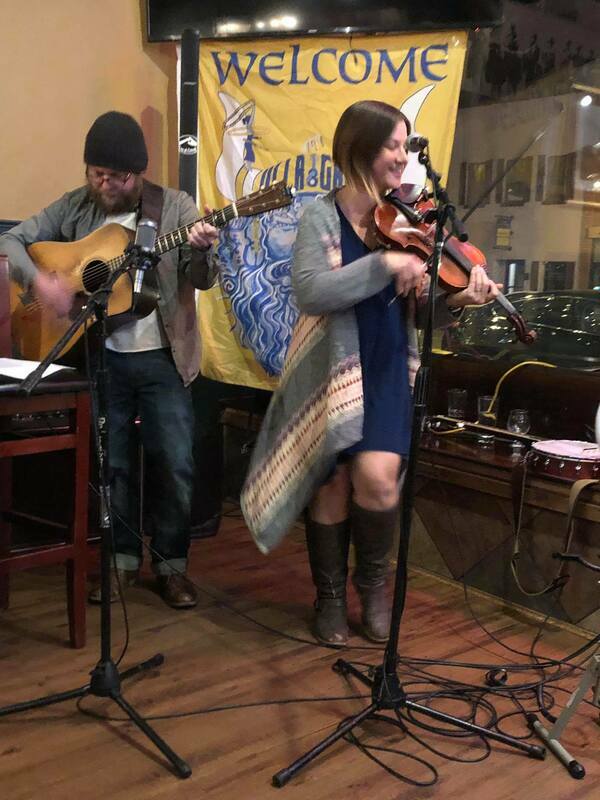 Both Dave and Riley Ann are committed to teaching in their communities and cultivating the love of music and its traditions, and their stylistic pairing breathes new life into classic blues, country, and jazz standards that everyone can enjoy.